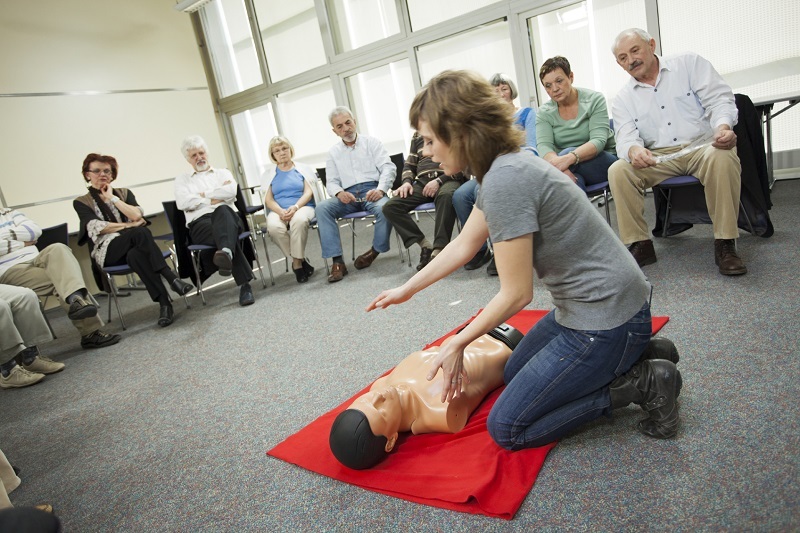 We bring our American Heart Association (AHA) CPR courses to you. Our mission is to empower your employees to save a life with unparalleled CPR training taught by the very best AHA certified instructors. Our courses are thorough, engaging and present students with real-life experiences and hands-on practice to assure CPR/AED competence. The Heartsaver and Basic Life Support (BLS) courses offered will teach your employees basic CPR, AED, and First Aid skills. This includes chest compressions, emergency procedures, head tilt, chin lift method and how to properly use an AED in a Sudden Cardiac Arrest emergency. Upon completion of the course, each student will receive their AHA CPR Certification which is valid for 2-years.